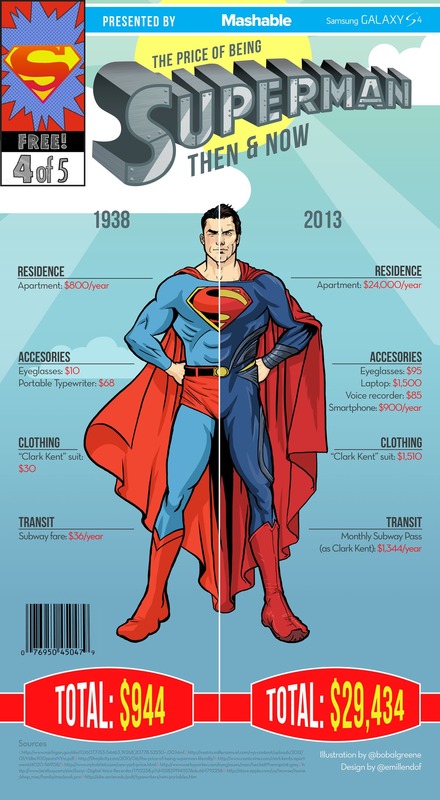 The Price Of Being Super, Then & Now! Whether you are an orphaned billionaire, a mutant with incredible healing powers, able to climb up walls, an indestructible alien from a destroyed planet or just big and green and like to smash stuff life can be tough. 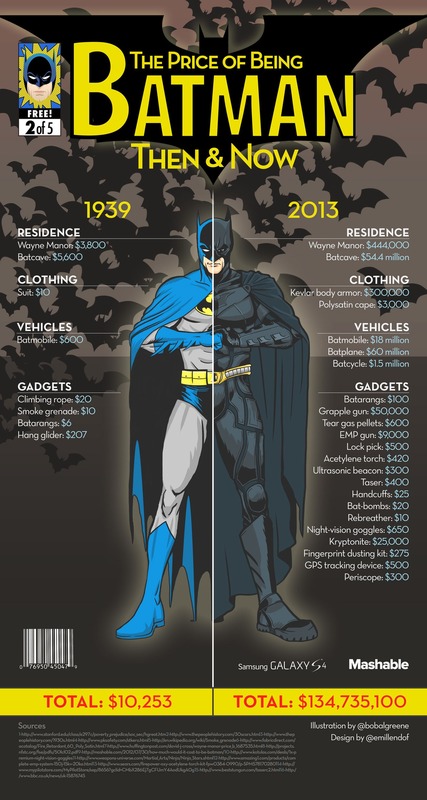 Not only on a personal level but it’s tough on the wallet too. 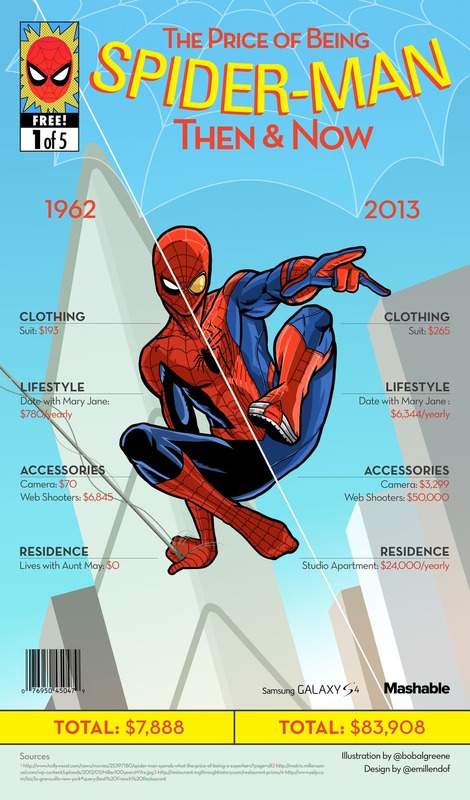 The fine folks over at Mashable have given us a “then and now” look at 5 of the biggest names in comics to show us just how much things have changed for them financially since they began. 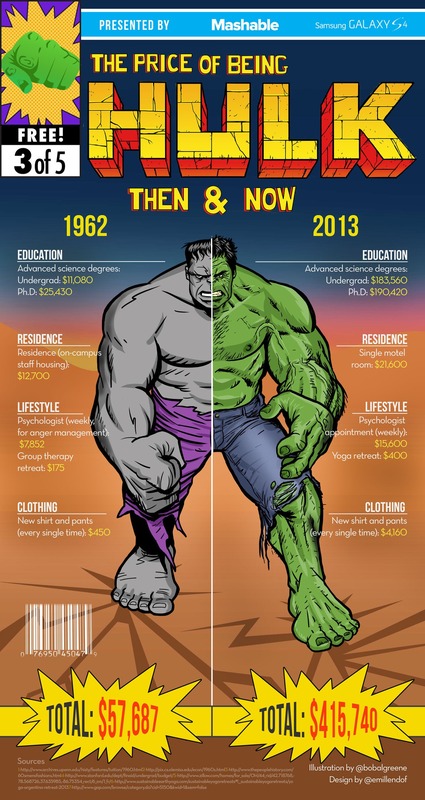 We all know they have personal problems, girlfriend drama, rage issues, and the list goes on and on BUT, the financial cost of being “super” is off the charts. 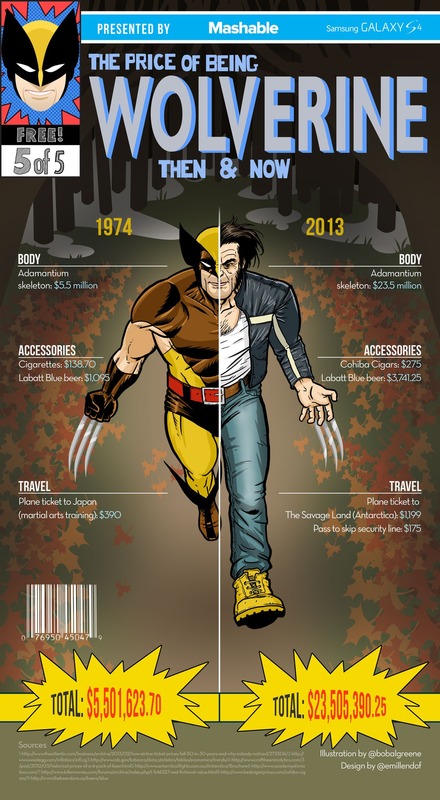 This entry was posted in Comic Books and tagged batman, Spiderman, Superman, The Hulk, Wolverine. Bookmark the permalink.